Situated in the ochre coloured heart of Luberon, Gargas will be a perfect platform for you visiting expeditions in Provence. Should you choose to stay in Gargas with Just Provence, you would be within easy reach of all the sights Luberon has to offer. The perched villages of Roussillon, Menerbes, Gordes, Bonnieux, Oppède are within easy reach. 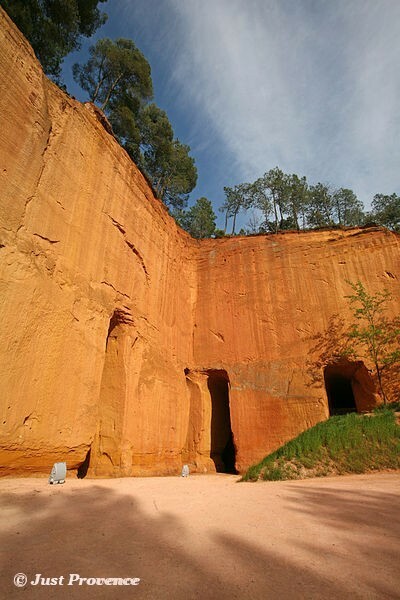 Like Roussillon, Gargas is in an ochre rich area of the Luberon. The ochre mines of Bruoux (one of the hamlets of Gargas) were the main activity of the area and you can find their colours on many houses in the Luberon. The mines are now partly a museum, but also play hosts to various festivals and shows during the summer. Gargas is a small Provençal village in the heart of the Luberon. It dates back to the 11th century and humans were present in the area since the Paleolithic. But the village and castle were destroyed during the religion wars of the 16th century. Nowadays Gargas designates a group of small hamelets in the Luberon valley. Ithas one claim as the birthplace of general Jean-Baptiste d'Anselme (1740-1814) who accompanied Lafayette during the American Revolution and later became a French revolutionary general. Gargas offers all the amenities one would expect from a small provençal village, spread among its hamels: cafes, hairdresser, mini market.... 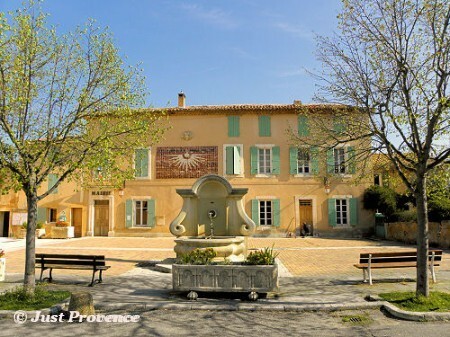 In addition Gargas, itself has a selection of 16th-17th century churches and chapels, a Roman oppidum nearby, museums and expositions about ochre and its use in Luberon all year round. Gargas holds it's market on wednesdays. The important market town of Apt is a 10 minutes drive from Gargas.